Half-Japanese Australian author Christine Piper will discuss her award-winning novel “After Darkness” and its themes of identity, otherness and the immigrant experience on Saturday, Feb. 27, from 12 to 2 p.m. in the East Asian Seminar Room at Doheny Memorial Library on USC’s University Park Campus. Set during World War II, “After Darkness” is narrated by a Japanese doctor who is arrested as an enemy alien in the pearling port of Broome and then interned at a remote camp in South Australia. When tensions between the nationalist Japanese and the Australian-born Japanese internees escalate, the doctor’s long-held beliefs are thrown into question and he is forced to confront his dark past: the promise he made in Japan and its devastating consequences. 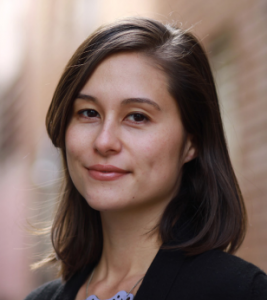 Piper will comment on the novel’s inspiration and her approach to the research (see http://lovedayproject.com) as well as more general topics such as the Japanese community in Australia and issues facing a mixed-race writer. Piper is a writer concerned with social justice and the immigrant experience. Born in South Korea to an Australian father and a Japanese mother, she was raised in Australia and now lives in New York. She won the Vogel’s Literary Award for manuscripts by writers under the age of 35, and “After Darkness,” her debut novel, was published in Australia and New Zealand in 2014. It has since been shortlisted for numerous awards, including the Miles Franklin Literary Award. Piper also won the 2014 Calibre Essay Prize for her essay about Japan’s wartime memory and the struggle to recognize the victims of war (www.australianbookreview.com.au/abronline/current-issue/114-april-2014-no-360/1898-unearthing-the-past). She has studied creative writing at the Iowa Writers’ Workshop and the University of Technology, Sydney, where she wrote a version of “After Darkness” as part of her doctoral degree. For more information on the author, visit www.christinepiper.com. Presented by the Shinso Ito Center for Japanese Religions and Culture.